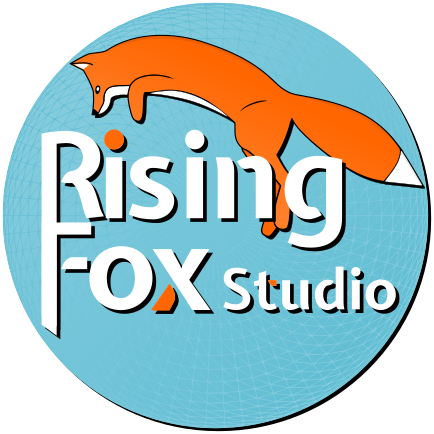 Our website address is https://risingfoxstudio.com. The hosting services we use are designed to provide the following services: infrastructure and platform services, computing capacity, storage and database services, security, and technical maintenance services. Our hosting provider or we will process contact data, content data, contract data, usage data, meta – and communication data of customers, prospects and visitors of this online service based on our legitimate interests in the efficient and secure provision of this online service in accordance with Art. 6 para. 1 lit. f) GDPR in conjunction with Art. 28 GDPR (Processor). We, or our hosting provider, collects by our legitimate interests within the meaning of Art. 6 para. 1 lit. f. GDPR data on every access to the server on which this service is located (so-called server log files). The access data includes the name of the retrieved web page, file, date and time of retrieval, amount of data transferred, message about successful retrieval, browser type and version, the user’s operating system, referrer URL (the previously visited page), IP address and the requesting provider. Logfile information is stored for security purposes (for example, to investigate abusive or fraudulent activities) for a maximum of 7 days and then deleted. Data whose further retention is required for evidential purposes shall be exempted from the cancellation until final clarification of the incident. When contacting us (for example, by contact form or e-mail), the information provided by the user for processing the contact request, is processed in accordance with Art. 6 para. 1 lit. b) GDPR. User information provided via email will be stored on the hosting provider’s mail server. We delete the requests if they are no longer required. We check the necessity every two years; Furthermore, the legal archiving obligations apply. Functional Cookies: Functional Cookies are persistent cookies that the Service remembers when your computer or device comes back to that Service. We use Facebook, Instagram, Twitter, and Google+ social networking icons on our pages, which are provided by the companies Facebook Inc., Google Inc., and Twitter Inc.
Those icons are static links to our presence at the specific social network platforms. We are not leaking the referrer when you click on external links.